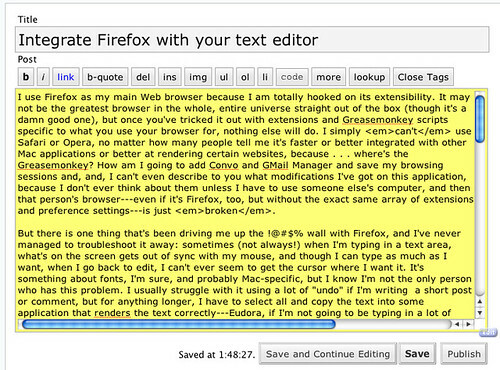 Integrate Firefox with your text editor | India, Ink. India, Ink., has moved. 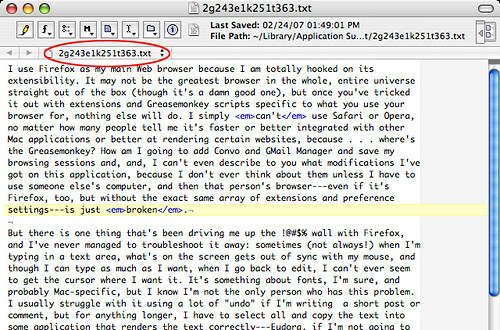 The live version of this post is now located at http://ink.indiamos.com/2007/02/24/itsalltext/. Sorry for the inconvenience! 1. 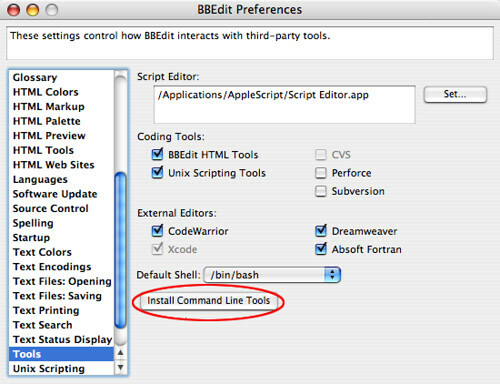 Merely activating the command-line tool did not do the trick of making TW visible to this extension’s prefs window. 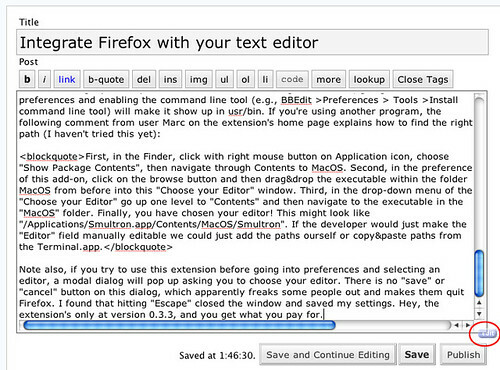 So I did have to use that workaround from Marc, quoted above. 2. Now that it’s set up, the plug-in doesn’t seem to work properly. It opens a TW window, but grayed out, and without the text area contents open in a new doc. Bummer. Will poke at it some more.